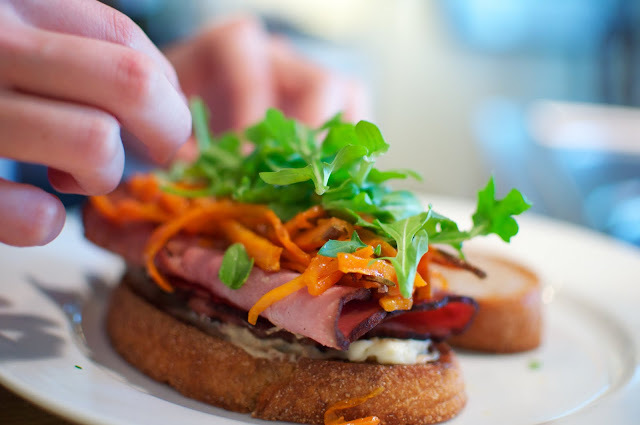 Testing Food52 recipes can lead to strange things…like sweet potato fries on a ham sandwich. I was skeptical at best. Believe it or not…it was good! 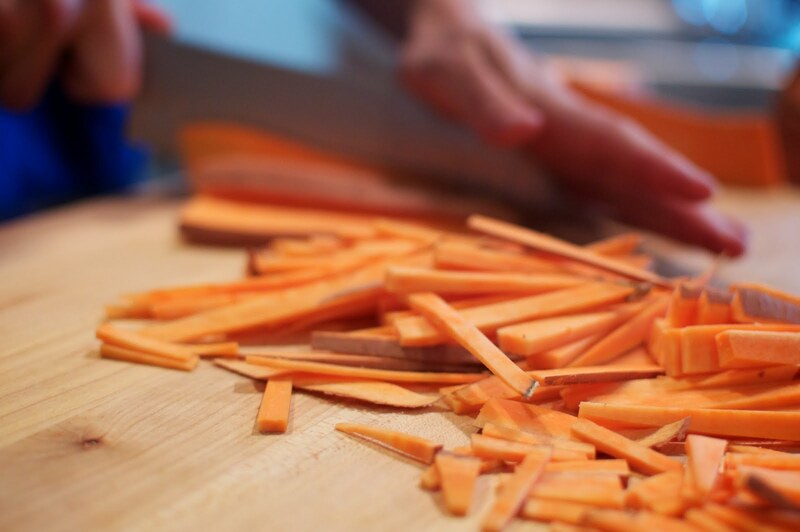 Think of the sweet potato fries as a sweeter version of caramelized onions. Quite delicious. The brie grounded the entire sandwich with creamy goodness. 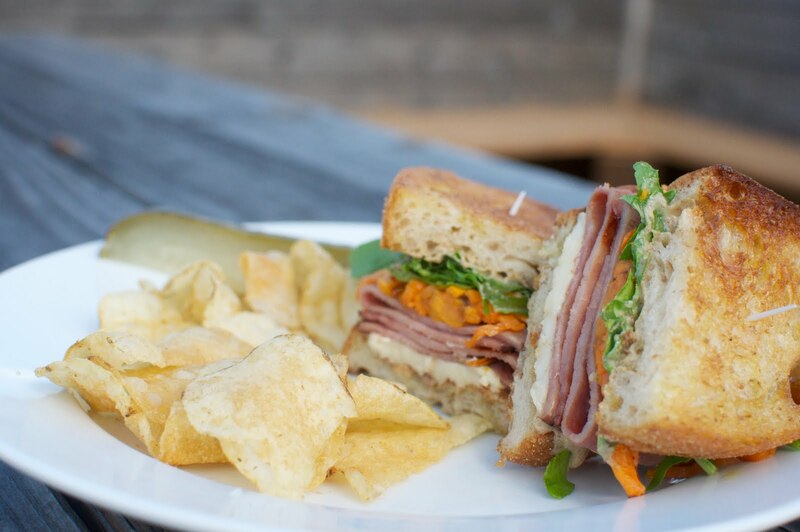 The ham was salty (and crisped in butter) while the arugula brought a peppery punch. Toast your bread in olive oil, and it can't really go wrong. Be careful with the dijon mustard. It can overpower the delicious combination, so go easy. Slice the sweet potatoes into matchsticks (skins and all) and spread on cookie sheet. Drizzle with olive oil and a healthy sprinkle of salt. Place in preheated oven at 350 for 30 minutes, stirring midway through. 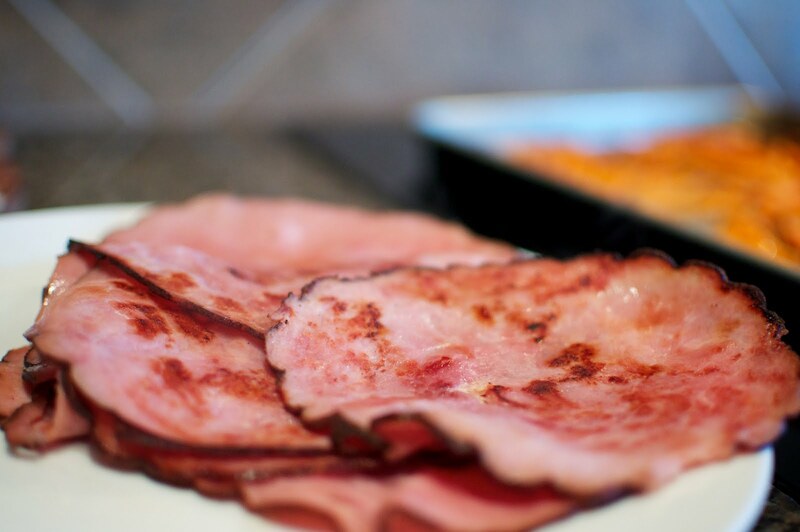 Melt butter in a thick-bottomed pan and crisp ham slices, about 3 minutes each side. Set aside. Toast thick bread (italian, french or sourdough all work well) in additional oil in the same pan. 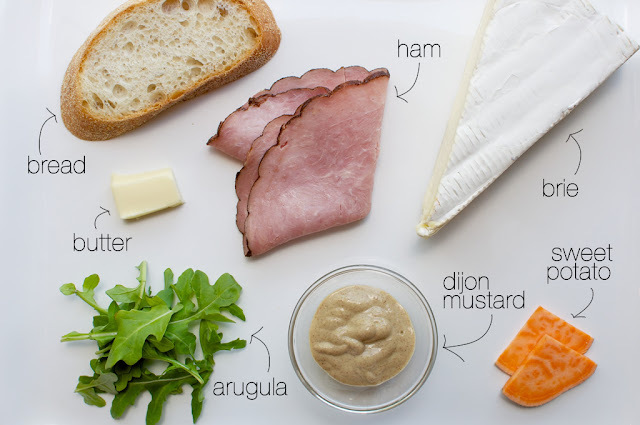 Assemble the sandwich: Dijon Mustard (just a little), Brie cheese, ham. Then add a whopping heap of sweet potatoes fries and the arugula leaves. Slice in half to make it slightly more manageable. Serve with your favorite chips and a pickle for good measure.